Meal Frequency has become a hot topic of debate. Do you need 6 meals a day to gain muscle or lose fat? Is 3 meals or 4 just as good? What are the essential issues regarding the number of meals per day one needs to get the effects they want? I cover the topic in this vid! Hey folks! Will Brink here . Sitting here in my messy office I want to cover a topic that’s become really popular which is meal frequency. That seems to be sort of all over the place right now, and I think what’s happened is there’s been a paradigm shift away from the advice of 5, 6, 7 meals a day in a completely different direction, and I think what that stems from is eating five, a recommendation of five meals, or six meals or whatever it was became dogma in sports nutrition circles or body building circles, and what happened really is that people were led to believe if they didn’t get six meals, or five meals, or whatever, that they would make no progress, that they were just wasting their time, and like many things what became advice, best practice, what have you, then became dogma and absolutism, and I think that turned a lot of people off. I think a lot of people felt well, you know, “I make progress fine on four meals,” or, “I can’t do five meals therefore I give up and so on and so on,” and there’s been a certain amount of data in the last few years that has also indicated that perhaps the number of meals is not as important as was previously thought. I think what has happened is mostly if you are hitting your target calorie and your target macros, the general advice is that meal frequency or total number of meals, let’s say, is not absolutely essential, and what has happened is you just see a shift totally now to the opposite which are now people are stating “Well, it doesn’t matter at all whether it’s one humongous meal, two meals, what have you,” and I’m not really personally there yet to that point. I don’t think we’ve gotten to that point. I don’t think the data absolutely supports that as far as active, healthy people. There has been some interesting studies that did run almost a year, or some longer than a year looking at some popular diets such as Atkins versus Jennie Craig versus other popular diets that found that at the end of the day it really was mostly calories, in calories, out, kind of thing. That is the effects at the end of the year in regular people, not athletes, what have you, so I don’t think that should come as any big surprise. I think people should look at it as again from a what level is the person at? What are they trying to obtain type of thing? You know, and still the data as far as I’m concerned at least is not conclusive as to what is absolutely best practices number of meals. 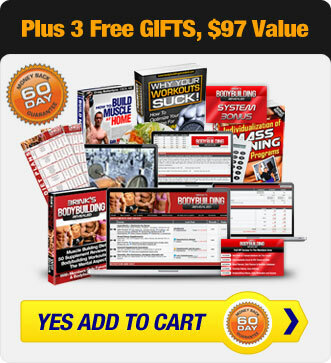 However, the average person, or not even an average person, but the person who is working hard in the gym, wants to make changes in their physique, for the most part you figure out the number of calories you are supposed to take in, you figure out what your macronutrients are, you split up the number of meals over the day that you can fit in realistically to your schedule, and you’re done with it. Now that might end up being three. It might end up being four and whatever. I doubt at the end of the day it’s going to make a huge difference. Now, could that make a difference to high level athletes trying to eke out a 1% or 2% improvement over long periods of time, years? Maybe. I will say that most of the athletes I know, high level athletes I know, be they body builders or other, tend to eat multiple meals. The successful athletes that is a common practice, and I don’t think it’s something that people should just ignore and throw out the window at this point which I am seeing a lot of. I am not convinced that you know, one giant meal or two meals or whatever, is still going to be the equivalent to let’s say, four, or five or something at the end of a long period of time; a year, two years, three years, whatever, and the problem is this is something that’s not going to get tested (that’s my email). It’s not going to get looked at in the data probably. Finding the, you know, what would probably be minor differences is pretty difficult to do, especially again in people that are looking for small differences in their physiques and that type of thing, and some of it is individual. Some people feel that they run better, do better, what have you, eating, smaller numbers of meals with more calories per meal; some people feel they do better. Personally, I get four meals a day, and on workout days, I get five if I include the post workout drink, and that’s pretty much how I run. I can say, you know, when I was younger and really focused on body building, I ate more meals. I felt it helped me recoup and fuel, but that’s, you know, anecdotal, subjective. You can take that for what it is. So, I think that the debate is a good one. I think it’s a good thing that we should look at dogma. I think we should always question, you know, absolutes. Again, people were taught for a long time if they didn’t get this number of meals, six, that they were just wasting their time, and that’s not true. The other problem however is that people like absolutes. If you say, you know, “Get your calories. Get your macros, and eat as many meals as you can and be done with it,” people don’t like that answer. People like absolutes. People want to know it’s four meals, or it’s five meals, or it’s whatever it is, and that’s the problem with let’s say nutrition advisers like myself, you know, we can’t win. You give people an absolute number, they don’t like that. You give people an amorphous kind of vague number, “Hey, just get the most, the number of meals you can.” They don’t like that. So, that’s my you know, complaint about that. The post workout meal, I want to throw in a quick caveat there. There’s also been a bit of a rejection of the post workout meal again, sort of evolving from the “eat whenever you can, don’t worry about number of meals,” thing, and again I am not really on board with that. Again, it depends on the person. If you’re talking about the average person, you know, just trying to lose some fat or what have you, or they’re not real serious in the gym. They work out. It probably again, it probably doesn’t matter that much, but I am, I am not ready to throw that concept out for higher-level athletes, people at lower body fat, people trying to eke out again this one, two percent, three percent, whatever, difference it might make. I would still say that post workout probably serious resistance training workout, what have you, that a post workout meal, we can argue whether whole food, or liquid, or whatever makes a difference, but I still think there’s a metabolic advantage probably to getting that nutrition and more or less as soon as possible, and I still prefer a liquid meal, and again, we can debate whether or not that is really going to be beneficial long-term or not, but just look at it this way. The answers are not in to all these questions, so the best thing to do is keep an open mind and do what you think works best for you, but I would not go the extreme from the old dogma to the new dogma and just say, “None of that matters anymore,” and I hope that helps, and if you like this please hit the link, and the Twitter, the “like” and the Twitter, and I’ll see you all on the BrinkZone.